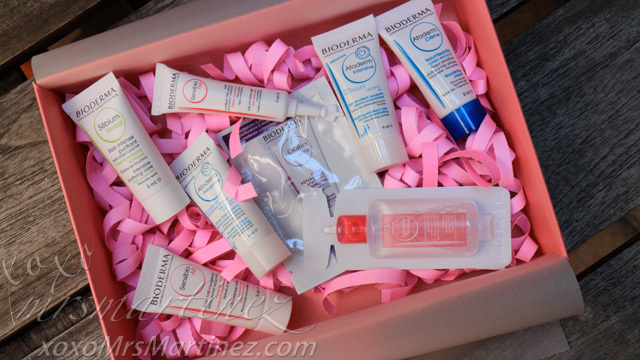 This morning, I received an exclusive BDJ Box June 2015 featuring the brand Bioderma at my doorstep. The box appeared smaller compared to the previous three boxes that I received from the company. I excitedly opened it as I was expecting two or three full-size products to review. My excitement quickly turned into disappointment because the box contained 8 Bioderma product samples ; ( One (1) Php 200 voucher and Lip & Cheek Stain from The Body Shop are also included. 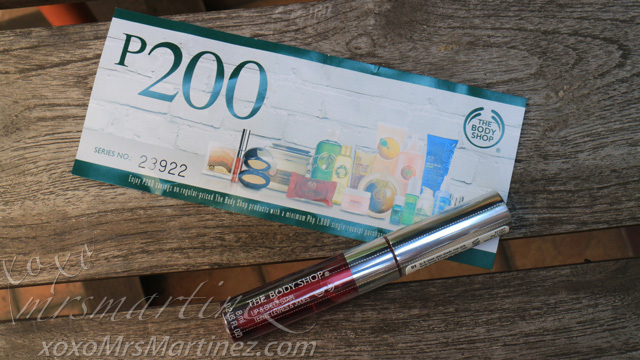 The Body Shop Php 200 voucher is practically useless because you have to spend Php 1,000 worth of regular-priced items. You might as well wait for the next sale because The Body Shop offers more discount of up to 50% off. The only consolation in this month's box is the lip & cheek stain. I bought one for only Php 395 during its 19th Anniversary Sale earlier this month.